Tomes and Tequila: How Cool is Candace Cameron Bure?? How Cool is Candace Cameron Bure?? I am a big ole Candace Cameron Bure fangirl. My initial rough draft of this blog post just says "fangirl" in a lot of random spots on a blank sheet. And I'm struggling to tell you what made me originally start paying attention to her. I, of course, watched Full House some when it was on back in the day...but it wasn't something I was REALLY into. I think I stumbled upon her book Reshaping It All around the time that she was on Dancing with the Stars, and she just stood out to me...for so many different reasons. And I'm one of those women who gets a little obsessive about people I like. I don't mean that in a freaky-bad way, don't get me wrong. I tend to find someone I like. Someone who intrigues me. Someone whose special something connects with me, and then I want to devour everything they have created. Every book they've written. Every song they've made. Every movie in their catalog. I want to KNOW them. So, I read Reshaping It All, and connected to her story of the struggles she had with food and her body. But her voice really intrigued me. 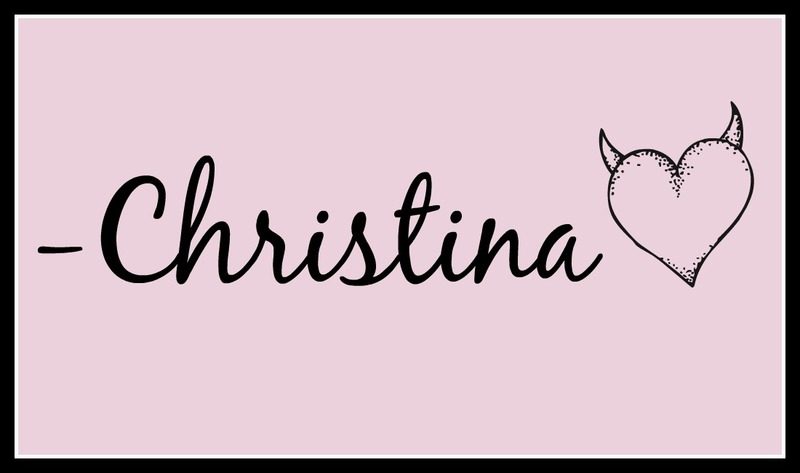 I was fairly new to reading Christian books at the time, and a lot of them didn't quite hit the mark to my personal convictions, but everything that Candace said (and I'm so calling her Candace in this post, because I'm not writing all three out everytime, and I hate writing authors last names in this context, it always feels so impersonal and odd to me) felt right to me. I started looking at her online, and doing my normal thing of finding interviews and seeking out what she has said/done etc...and the more I read, the more I watched, the more I felt she would be a fabulous role model/mentor. You see, I personally feel that even as adults we can still use good role models. People who help influence us, even if it's just in our style. When I asked during my giveaway, who you all looked to for style inspiration, Candace Cameron Bure is a big one for me. This is a woman who is a year younger than me, and she looks AMAZING! If you knew how often I have gone on Pinterest looking at actresses who were within a year or two of my age, to see what they were wearing...not their red carpet looks necessarily, but candids...you would laugh. Now, there are other women on my list...but she is one who I make note of regularly. But I think role models are fabulous, and you can do worse than Ms. Bure. So now, I consider myself a fangirl. I follow her on Instagram, and admire her for the genuine candidness and sincerity she has in everything that she does. She really puts herself out there for her fans to see, and as far as I can tell, she is who she says she is. She gets a lot of flack for her religious beliefs, but if people listened to her...and didn't assume they knew her stance without questioning, they would see that she is more open and accepting than they think. I have watched Fuller House...by myself...and enjoyed it. It is popcorn television that makes me laugh, and I spent most of the time paying attention to Candace's hair and wardrobe. The only thing I haven't done is watch her Hallmark Movies. 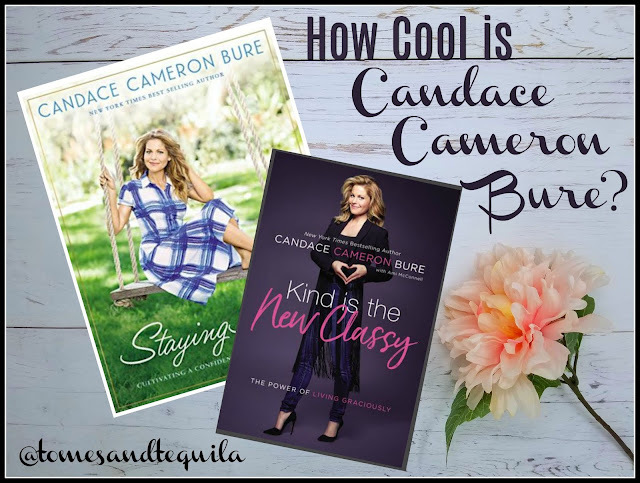 Why am I writing a blog post talking about how cool Candace Cameron Bure is?? Well...it's mainly because I just finished reading two of her books, and figured instead of writing two separate posts, I'd combine the two and write about how great she is along with reviews! 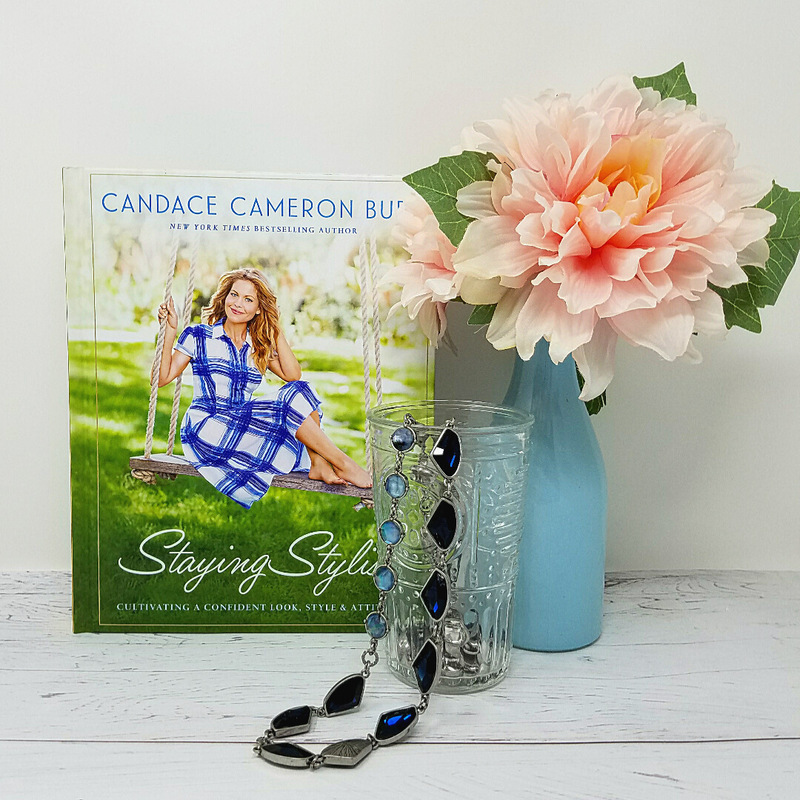 The first book, Staying Stylish: Cultivating a Confident Look, Style and Attitude is touted as a behind the scenes look into her personal style, and the rules she follows when it comes to beauty, clothing, etc. This is a gorgeous book, filled with clean and pretty pictures that were definitely inspiring when it comes to the whole self-care, present yourself well thing. I love that she says she dresses modest "for her", and I've seen people give her crap for not dressing their version of modest on Instagram...and it always kills me. She talks about only wanting to show skin on one area, so if she's wearing her shorter shorts, she'll cover-up on top, or vice-a-versa. She loves her shoulders and her legs, so tends to wear things that show off those features. I started thinking about what I like in my body, and how I could maybe dress to show off those features better. She also includes what she considers to be clothing basics everyone should have, which is always fun to see. Did I glean any good info out of this book? Sure, I picked a couple nuggets up, and enjoyed seeing pics of her cute outfits. But while I was reading it, I mainly thought how much I wanted my daughter to read it. A young woman just starting to put together her first "adult wardrobe", trying to suss out what a good skincare routine would be, and how to fit self-care into her busy life. That is who I think would truly get the most of out this book. So while I enjoyed it, I'd like to pass my copy on to her...and hope she'll give it a read when she has a chance. As I said up above...not a bad role model. The second book of hers I read is Kind is the New Classy: The Power of Living Graciously. I honestly can't say enough good things about this book. I will be re-reading it, and this time with a highlighter close by so I can properly dissect what I'm ingesting because this one will be up there as a favorite read for the year. I will preface with the note that this is definitely a Christian-based book. Staying Stylish...not so much, although it's always referred to in some way because it's such a part of who she is. 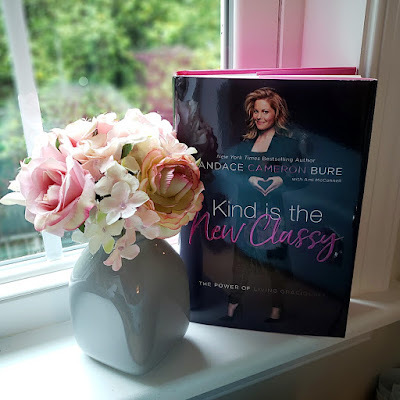 But if you don't want to read a book that talks about God or includes scripture, you're probably not going to enjoy Kind is the New Classy, although I'd say give it a read anyway and see what you think because it was that good. This book has stopped me yelling at cars in traffic (or at least, I'm trying SO HARD). It has got me thinking about who I really am, and what is truly important to me. It has made me think a little more before responding to my husband when I'm tired, cranky or in pain (like I unfortunately am at the moment). And it has really helped me to think harder about how that scripture I read fits into my everyday life, which is so vital to me. Candace gives examples of how she tries to live her life with kindness and grace, keeping God as the most important thing in her life. She gives examples of how she tries to rise above, and do the unexpected. She also gives examples of times she has royally messed up, hurt friend's feelings...got in unnecessary fights with her husband, etc. Is her life different than mine? Yes. But is the advice still applicable to the life I'm currently living? Wholeheartedly. I felt so good reading this book. If I had more money in the bank I'd have bought copies for all of my friends. Our world feels so messed up right now. I think a book talking about being a little more kind, a little more gracious, giving thanks, being grateful, staying grounded, and living a life that is true to your beliefs can't be a bad thing. I can't recommend it enough. The signed copy I bought will live in my nightstand. So there ya go, two reviews in one!! If you're on Instagram, follow Candace Cameron Bure even if you only ever watch her Stories. She posts workouts, her big ole dog Boris, candid car talks about things you wouldn't expect (the last one was about period issues while working out, and peeing during jump roping), reading the Bible, fun red carpet events, and just cool stuff that always makes my heart happy. 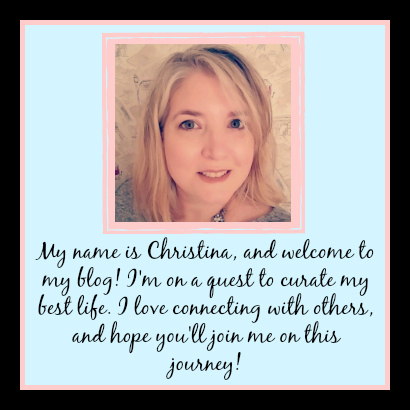 I hope everyone is having a great week, and that you'll join me for my LIVE on FB tomorrow to discuss Dark Places by Gillian Flynn (such a departure from these reviews! LOL)! I'm having a rough week, but I'm going to try to do the live anyway...I just may not last an hour. OH, and Happy National Tequila Day!! Thanks for the great suggestions. With a little practice kind takes so much less effort than not! Just added both of these to my library hold list!